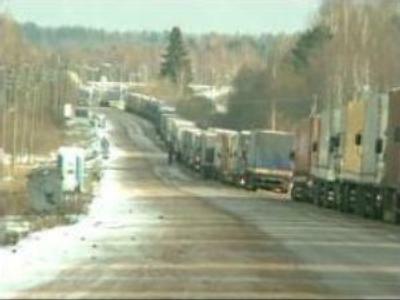 More than 1,500 trucks are stranded on the Russian-Latvian border as customs struggle to cope with the level of cargo. Queues of traffic stretching several kilometres have been common since August. Gridlock reflects low capacity at Latvian and Russian checkpoints, and road works in Estonia. Tough transport regulations in Belarus, once the main transit country for trucks travelling from the European Union to Russia, are also having an effect. Andris Teikmanis, the Latvian Ambassador to Russia in his interview for Russia Today explained that “the main problem is in the too complicated transit system for Belarus. If Polish and Lithuanian trailers would use Belorussian ways, then the queues on the Russian-Latvian borders will be much smaller”. Latvian authorities promise better days ahead but do not expect faster flows before New Year.